The National Museum of Japanese History (hereinafter NMJH) in Sakura City, Chiba Prefecture, has significantly redesigned the Permanent Exhibition Gallery 1, ‘Prehistory and Ancient Time,’ since the opening of the Museum in 1983. The NMJH will be reopened on Tuesday, March 19, 2019, after renovations. Gallery 1 covers a period of roughly 36,000 years, from 37,000 years ago, when humans first appeared on the Japanese archipelago, through the late seventh and early eighth century, when the ancient state of Japan emerged, to the tenth century, when aspects of medieval Japan were first seen. 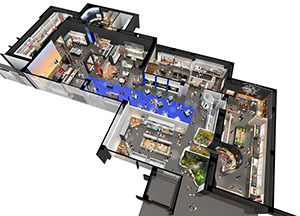 A new corner for the Paleolithic period, which has hitherto not been included in the exhibitions, will be established. In addition to this corner, Gallery 1 focuses on six major, non-period-based themes: People Who Lived Through the Last Glacial Period, Diversity of the Jomon Culture in the Japanese Archipelago, The Beginning of Wet Rice Cultivation, Emergence of Wa (Old Name for “Japan”), Keyhole-shaped Kofun (Mounded Tombs) of Wa and East Asia, and Ancient State vs. Diverse Archipelagic World; with two additional themes explored in an adjunct room: Okinoshima Island and the Shosoin Documents. The advent of earthenware and the beginning of wet rice cultivation actually date back about 3,500 years and 500 years earlier, respectively, than has been considered, according to new date estimates of the Prehistoric period, emerging from advanced research at the NMJH. These new history exhibitions are based on such research results, which had not yet been obtained at the time of the opening of the museum. In addition, we aimed at exhibitions that focused on the interactions between the Japanese mainland (Honshu, Shikoku, and Kyushu) and Mainland China, the Korean Peninsula, Hokkaido, and Islands of Okinawa in terms of three basic themes—social history, environmental history, and international interaction—from the perspectives of diversity and contemporary life. 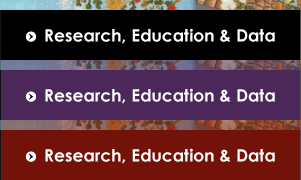 A special exhibition corner will be established, and we are planning to exhibit the latest research results. 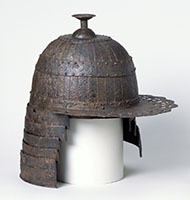 ※ All displayed items are the property of the National Museum of Japanese Hisotry. The last glacial period (c.a. 110,000-12,000 years ago) was the coldest period of all the ice ages occurring from about 2,600,000 years ago to the present. Homo sapiens came to the Japanese archipelago about 37,000 years ago. People at that time lived a highly mobile life of hunting and gathering, in a very different environment from that of the postglacial age that began about 12,000 years ago. In this exhibition, you can explore the life of the people who lived in the Japanese archipelago during the last glacial period, from the Upper Paleolithic period (c.a. 37,000-16,000 years ago) to the Incipient Jomon period (c.a. 16,000-11,000 years ago). 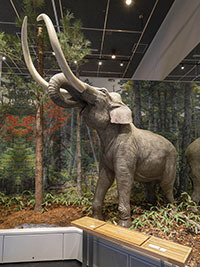 The exhibition includes a full-sized model of a Naumann elephant, and models demonstrating the production of stone tools and leather tanning, to illustrate the life and environment of the Paleolithic humans who first began living in the Japanese archipelago. 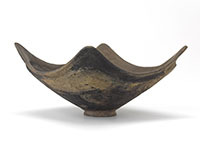 Highlights include the oldest earthenware in Japan and the advent of clay figures. A diverse ecosystem existed on the Japanese archipelago (extending over 3,000 km), during the period from the early Jomon period (roughly 11,000 years ago) to about 3,000 years ago, when wet rice cultivation began in northern Kyushu. People shared common life traits, but also adapted to the environment in their respective region, and developed diverse modes of living, societies, and spiritual cultures. They practiced hunting, gathering, fishing, and cultivation as settlements began to emerge. Here you can explore the lives of the people who left a cultural legacy unique in world history. Here you can see one of the largest actual stone sticks in Japan, and full-sized models such as the ambitious construction of a tomb housing as many as 100 bodies, illustrating the life history of the people of that time, as well as their views on life and death, and their spiritual cultures. Wet rice cultivation began around the tenth century B.C., in northern Kyushu, and gradually spread across the Japanese archipelago. About 600 years after its spread, the archipelago was divided into two regions, one of which accepted wet rice cultivation, while the other did not. At the same time, metalwork appeared. People in northern Kyushu began to cross the sea in search of raw materials for bronzeware and ironware, and initiated a festival of bronzeware as well. 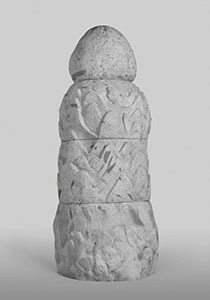 In this exhibition, you can trace roughly 700 years of history, from the tenth to the third century B.C. The beginning of wet rice cultivation was 500 years earlier than had been thought previously, and dramatic changes in society were produced as a result. Major factors such as warfare, environmental contamination, and widening economic gaps, which are still significant issues today, largely emerged in the Yayoi period (300 B.C. to 300 A.D.). Here you can explore the mechanism of their generation and relationships with the beginning of rice cultivation. The Wajin, an ancient Japanese people, appeared in East Asia, with the Chinese Han dynasty as its center, around the first century B.C. The world of the Wajin changed dramatically in the late Yayoi period (0-200 A.D.), when new, state-level international interaction began. The regions of Japan became more clearly united, and there was active interaction among regions. In these circumstances, distringuished figures appeared, who played important roles in the international interaction. Here you can see Mainland China, the Korean Peninsula, and different regions of the Japanese archipelago, with their various interactions. The exhibition depicts the sea region of East Asia, with regional interactions indicated. Take a journey from China to the Korean Peninsula and across the Japanese archipelago, with a King of Na gold seal, in the first to second century. In the third century, influential figures from around Japan formed an alliance to install a King of Wa, with the ongoing interaction and competition with China and the Korean Peninsula. The positions and power of influential figures (such as lesser kings), with the King of Wa at the top, was reflected in the size of ancient tombs, typified by the keyhole-shaped tomb seen here, and the contents they contained. Distinct societies and social orders existed in the northern and southern areas. Here we will shed light on the people’s lives in different regions, and the character of the kings, as well as the expansion of newly introduced technologies and cultures such as the ceramic industry, the processing and production of iron, and the use of horses. The Kofun (old tomb) period has been described in terms of the history of the rulers in the central region of the Japanese archipelago. A strikingly different image of the Kofun period, however, is presented here. 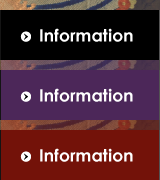 Specifically, the features of Kofun society resulting from interaction among the various Asian regions are described, with the aid of recently discovered materials, by placing a focus on the lives of the kings and people, technologies and circumstances, in the southern and northern parts of the archipelago. 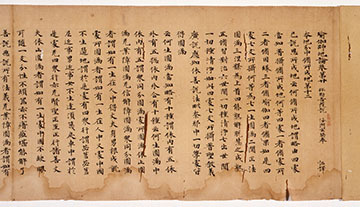 In the seventh century, a new state emerged in the archipelago with the introduction of the Ritsuryo (codes) from China. This marked the birth of the ancient state of Japan, with the Kinai region as its center. Advanced products and technologies brought from Mainland China and the Korean Peninsula had great influence on the cultures of the archipelago, while at the same time local communities with distinctive characteristics emerged in different regions of the archipelago, reflecting the diverse environments. In particular, though influenced by the national state, unique cultures developed in the east and west regions of the archipelago, and became a driving force in the evolution of life in the islands. Here, features of the Asuka period are exhibited for the first time. In the middle of the gallery, there is a replica of the Shumisenseki, a massive stone sculpture found in Asuka. 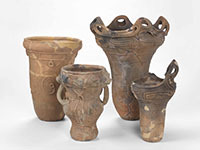 In addition, items excavated from Korokan in Fukuoka City, Fukuoka Prefecture, are exhibited, to illustrate the ancient international interaction. 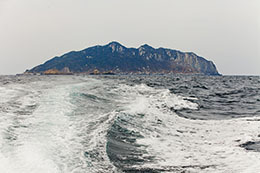 Okinoshima Island is located between Kyushu and the Korean Peninsula. It was a place for enshrining deities and praying for safe navigation. It functioned in these respects for up to 500 years, from the fourth to the ninth century A.D. An example of the deification performed on Okinoshima Island, itself an object of faith as a sacred island, is depicted in this room. The history of interaction between ancient Japan and East Asia is also introduced. You can get a sense of the magnificence of Okinoshima Island by viewing the full-sized model of the worship site, and replicas of beautiful dedicated items. 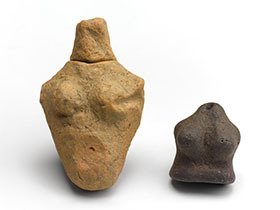 Items from the remains of the ritual site,　Chungmak-dong site for safe navigation discovered in the Korean Peninsula, are also displayed. Okinoshima Island (Photograph by Hidekazu Imaki; Courtesy of Sacred Island of Okinoshima and Associated Sites in the Munakata Region Preservation and Utilization Council). The Shosoin monjo (documents), property of the Todai-ji Shosoin Temple in Nara Prefecture, are invaluable historical materials consisting of ancient documents from the Nara period (eighth century). The NMJH has created precise reproductions and offered them for use in research and exhibitions since it was established in 1981, in cooperation with the Shosoin Office of the Imperial Household Agency. These materials illustrate the ancient Ritsuryo (code) system, referred to as the Official Governmental Ritsuryo System; and documents exchanged using sealed paper and mokkan (narrow strips of wood) are also displayed in this room. In addition, the public (official) and non-public (created by the sutra copying office) aspects of the Shosoin monjo are depicted. Four sets of items have been created using replicas of Shosoin monjo such as reports (family registers, yearly tax records, and shozeicho [rice tax balance sheets]) from the various regions, and the account book collection used for office management of sutra copying. 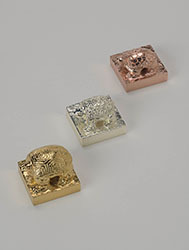 Each set is exhibited for two months, on a rotating basis, according to the specific theme.